Regency at Chancellorsville in Fredericksburg, Virginia is a 55+ community located within Spotsylvania County. Homebuyers will enjoy the neighborhood s exclusive amenities and laidback lifestyle. New construction and previously owned single-family homes were thoughtfully designed for today s active adult homebuyer with first-floor master suites and low-maintenance exteriors. Regency at Chancellorsville combines the best of both worlds, a small community accessible to plenty of entertainment. Throughout the area, a variety of attractions like museums, recreational activities, world-class shopping, and dining are minutes away. Homeowners enjoy access to a private clubhouse, the Regency Club. This newly constructed 5,000 square-foot clubhouse is complete with everything needed for social and physical activity. Residents never have to leave the gates of their community for an invigorating workout because the clubhouse is equipped with a state-of-the-art fitness center complete with locker facilities as well as indoor and outdoor swimming pools. The multi-purpose room, kitchen, tavern room and bar, and clubroom serve as great locations to gather for a community party or host a club meeting. The amenities continue outside of the clubhouse with a beautiful outdoor patio, putting green, bocce ball court, and walking and biking trails. Triocord Homes began construction of this active adult community around 2004 and built about 30 single-family homes before a new builder took over in 2011. Upon the community s completion, Regency at Chancellorsville will have 225 single-family homes. New construction homes are offered in four floor plans that are between 1,650 and 2,026 square feet in size. 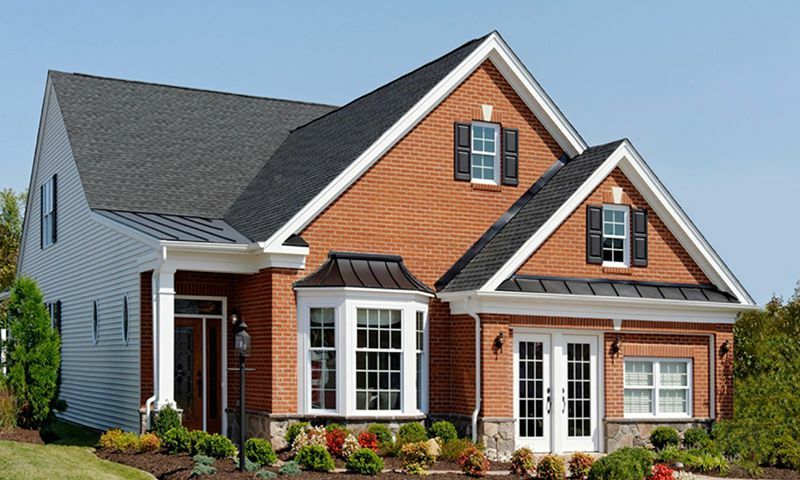 Every home has at least two bedrooms, two bathrooms, and an attached two-car garage. Optional features include dens and additional bedrooms and bathrooms. Homes were designed with open floor plans ideal for entertaining, as well as first-floor master suites and large walk-in closets. This Virginia age-restricted community allows residents live their lives to the fullest without having to worry about tiresome outdoor chores. The homeowners association (HOA) collects a monthly fee that covers trash removal, snow removal, access to the clubhouse and its facilities, sidewalk and street repair, common area utilities and maintenance, and professional HOA management. The community keeps a calendar full of social events and fitness activities. Total body fitness, yoga, water aerobics, Tai Chi, and therapeutic swim classes are offered on a weekly basis. Whether attending a trip out on the town or an ice cream social in the clubhouse, there are plenty of ways to meet new neighbors. Situated in Fredericksburg, Virginia, Regency at Chancellorsville offers plenty of options for culture, recreation, and entertainment. Leesylvania State Park, Mason Neck State Park, and Lake Anna State Park all offer outdoor recreation just 30 minutes away. Public and private golf courses, beautiful vineyards, history-filled museums, and fine dining restaurants can all be found throughout the Fredericksburg area. Regency at Chancellorsville is just minutes away from Interstate 95 and an hour s drive from Ronald Reagan Washington National and Richmond International Airports. Whether you enjoy rooting for sports teams, volunteering throughout the community, or exploring parks, Regency at Chancellorsville is a great 55+ community in Virginia. Regency Club - 5,000 Sq. Ft. There are plenty of activities available in Regency at Chancellorsville. Here is a sample of some of the clubs, activities and classes offered here. Before the current builder took over Regency at Chancellorsville, Tricord Homes built about 30 single-family homes. The models were included in the Battlefield Collection. These can be found on a resale-only basis and offer two to five bedrooms with a two-car garage and first-floor master suites. Additional features include spacious kitchens, optional lofts and walk-out basements, a rear porch or sunroom. Please Note: Floor plans are not available at this time. Regency at Chancellorsville includes single-family homes that offer between 1,650 to 2,026 square feet of living space. Most homes have two bedrooms, two bathrooms, and an attached two-car garage. Loft options can include an extra bedroom and bathroom for guests. Designed for active adults, every home has a first-floor master suite and are built with low-maintenance exteriors. We own one of the original Triocord Homes from when we bought back in 2005. The quality is great and the community is coming along nice. Toll Brothers builds here now and just opened the clubhouse which is really beautiful. We like that the community is small, gated and private plus it is very well maintained and has lovely curb appeal. Everyone knows each other and we've made some great friends here. 55places.com is not affiliated with the developer(s) or homeowners association of Regency at Chancellorsville. The information you submit is distributed to a 55places.com Partner Agent, who is a licensed real estate agent. The information regarding Regency at Chancellorsville has not been verified or approved by the developer or homeowners association. Please verify all information prior to purchasing. 55places.com is not responsible for any errors regarding the information displayed on this website.